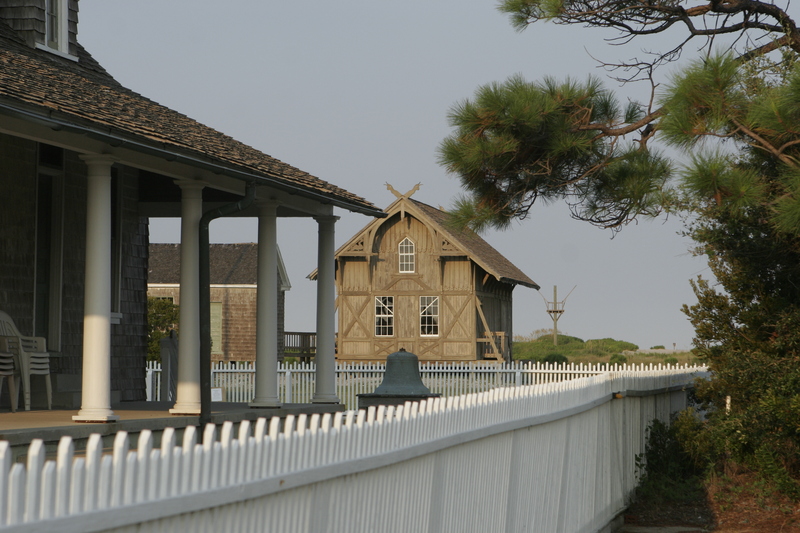 Located in Manteo within the Roanoke Island Festival Park complex is the Outer Banks History Center, a true gem for anyone who reserves a special place in their heart for the Outer Banks. The center came to fruition in 1986 when local writer and historian, David Stick, author of Graveyard of the Atlantic: Shipwrecks of the North Carolina Coast and several other works, donated his personal library and research materials to the North Carolina Department of Cultural Resources. The History Center is home to many collections including manuscripts, maps, photographs, books, personal and organizational papers, natural history, environmental sciences and so much more. Spend a day in the reading and reference room of the center where you have access to several worktables, an online catalog, audio-visual equipment, a microfilm reader-printer, and a photocopier. Each year the center responds to thousands of research requests from the general public to national media outlets, such as the History Channel, so contact them today! During your upcoming vacation, make plans to attend the exhibit, “Dare County in the 1930s: Decade of Determination,” starting March 1st and running through October 14th! The History Center is open Monday-Friday from 9am-5pm (excluding state holidays and weather emergencies) and be sure to visit the Outer Banks History Center Gallery 7 days a week from 9am-5pm. (Check with Roanoke Island Festival Park for up-to-date information and hours concerning the gallery). 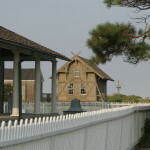 Visit the Outer Banks History Center for a true understanding of the Outer Banks culture and its people! Are you intrigued by the rays that cruise the waters of the eastern seaboard? Join Mr. Robert Fisher of the Virginia Institute of Marine Science on Monday, February 11th at 7pm at the Fessenden Center in Buxton or on Tuesday, February 12th at 7pm at the Ocracoke Community Center. Mr. Fisher will discuss his research on the Cownose Ray which will include displays, underwater video, and other imagery. Take advantage of this free program to learn more about our fascinating coastal environment! Believe it or not, 2013 is right around the corner! If you’ve made plans to spend the turn of the New Year with us, there are a few festive events to guide you cheerfully into 2013! On Saturday, December 29th, venture down to Hatteras Village at 4pm to participate in “Tiny Bubbles in the Wine” Bubbly Wine Tasting, until 6pm. You’re likely to find the perfect bottle of bubbly for your New Year’s toast! If you’re staying in Avon, head on over to Oceana’s Bistro for a variety of food and drink specials from 9pm-1am. An acoustic set will be provided by Rory Kelleher, so be sure to wear your dancin’ shoes! If you’re staying in Buxton, join the “Mo Rons” for live music starting at 10pm and enjoy ringing in the New Year in the heart of the village, home to the famed Cape Hatteras Lighthouse! If you’re staying in Hatteras Village, join Nathan and friends at Saltwater Café in the Stowe on 12 shopping center for a Champagne Jam and Oyster Roast. Call 986-1414 for details. Surf or Sound Realty thoroughly enjoyed participating in the 2012 Hatteras Village Christmas Parade! The weather was beautiful and there was plenty of holiday cheer to go around! 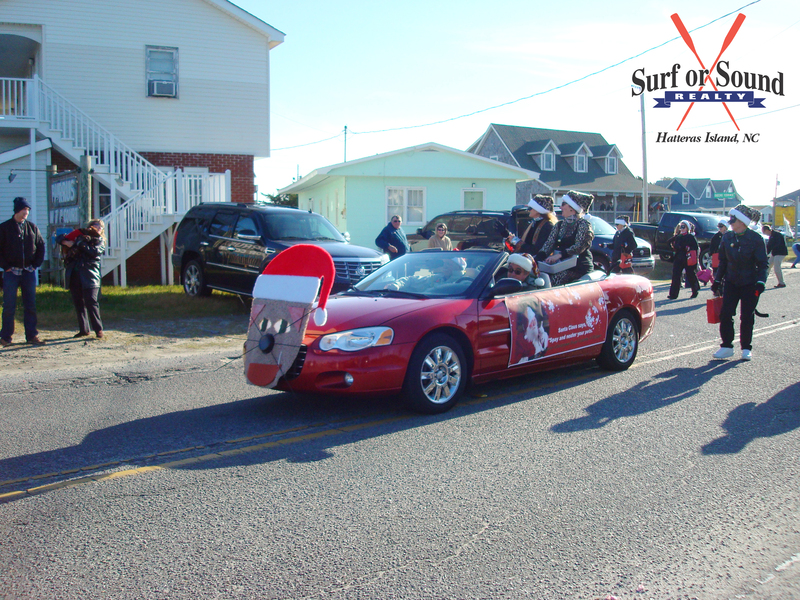 The holidays are upon us and there’s plenty of cheer to go around, so grab your friends and family and head out to a few festive events on Hatteras Island! 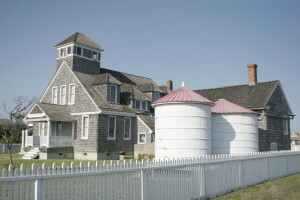 CAPE HATTERAS LIGHTHOUSE WINTER CLIMB, 10am to 3pm in Buxton. •	Free admission. Climbers must be at least 42 inches tall and must be able to climb on their own. There are 257 steps to the top, which is the equivalent of a 12-story building. ART SHOW, Hatteras Village Civic Center. •	Tackle that shopping list by supporting local artists. GRAVEYARD OF THE ATLANTIC MUSEUM HOLIDAY OPEN HOUSE, 12 to 5pm in Hatteras. •	Enjoy an afternoon of exhibits, live music, activities for children, and refreshments. 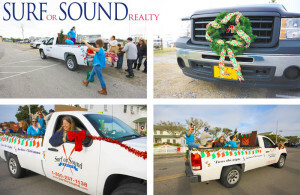 •	Parade starts at 2pm at Teach’s Lair Marina and will continue up Hwy 12 to the Hatterasman Drive-in. After the parade, join everyone at the Hatteras firehouse for cookies, hot cocoa, and an announcement of the winning floats! CAPE HATTERAS SECONDARY SCHOOL 6TH GRADE CHRISTMAS PARTY, Hatteras Community Building. This Thursday, October 25 at 2pm, the USCG will perform the Historic Breeches Buoy Reenactment in a special post-season beach apparatus drill. The demonstration will be held at the Chicamacomico Life-Saving Station and Museum in Rodanthe and will begin promptly at 2pm. Please allow plenty of time to park, get tickets, and get to the program start area. Admission is $6 for adults and $4 for seniors (62+) or youth (6-17). For more information, call 252-987-1552. Take a few hours out of your busy fall schedule to explore Alligator River and Pea Island refuges during National Wildlife Refuge Week, October 14-20th! Get the celebration started with a tram tour at Alligator River from 9am until noon on Saturday, October 13th. Explore the refuge and be sure to keep your eyes peeled for all of the wildlife that call this territory home, while enjoying a beautiful fall morning on the OBX. You may register ahead of time by calling Cindy Heffley at 252-475-4180 to make your reservation. Tickets are $7 for adults, while children 12 and under may register free with one or more paying adults. Unreserved seats will be filled at no charge, on a first come/first serve basis the morning of the tour. Later that evening, join a refuge guide to learn about the endangered red wolf while participating in a special Red Wolf Howling to celebrate Wolf Awareness Week. Starting at 6pm, the guides will introduce and speak about the Red Wolf Recovery Program in place at Alligator River refuge and then your group will venture into the heart of the refuge in an attempt to hear the resident red wolves. No reservation is required. Meet at Creef Cut Trail located on Milltail Road and US Hwy 64 west of Manns Harbor. 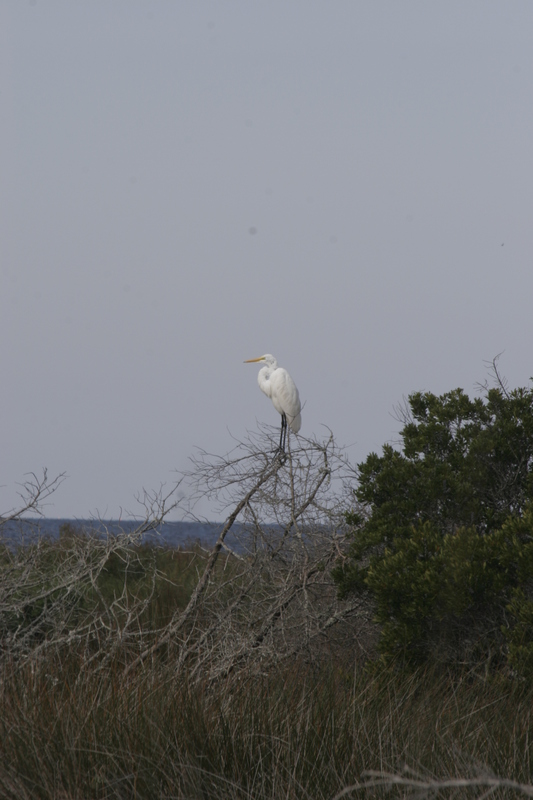 On the mornings of October 17-19th, from 8am to 9:30am, take part in a guided bird walk at Pea Island refuge to experience a variety of resident and migratory birds. 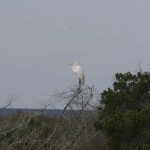 Meet at the Pea Island Visitor Center near milepost 32 on Hwy 12. 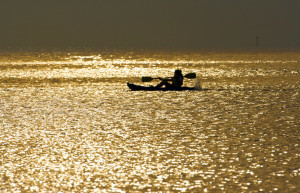 Be sure to take advantage of these opportunities to connect with the wildlife of the OBX! Dust off those vintage clothes from your attic, grease up those squeaky bike chains, and head to Buxton this Saturday, October 13th for the 4th Annual Bike the Light! 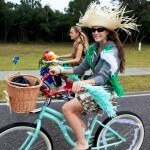 Register at Cape Hatteras Secondary School starting at 9am, adorned in the wackiest costume imaginable! Registration is $5 and includes a goodie bag. Prizes will be awarded for the best dressed child, teen, and adult, as well as the best dressed team! The fun-filled, scenic, five mile trek to the Cape Hatteras Lighthouse will begin at 10am. Upon returning to the school, refreshments will await you and the prize ceremony will begin! Hosted by the Kiwanis Club of HI to raise money for children’s charities and programs on Hatteras Island. 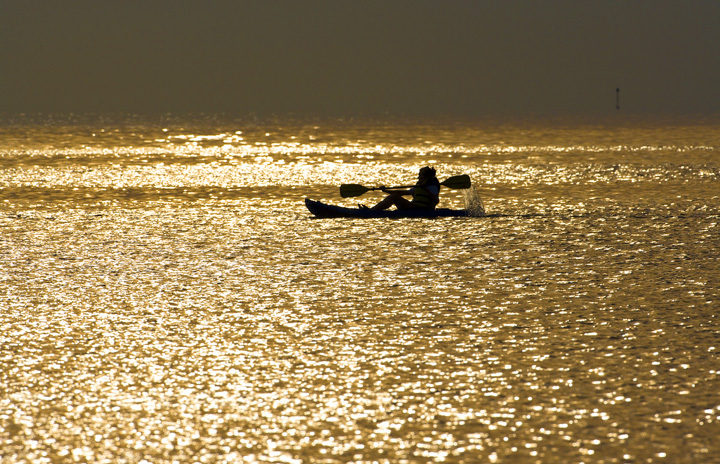 If you’re lucky enough to be able to take advantage of a beautiful, extended October weekend on the OBX, you will not be disappointed by the abundance of events taking place! *Cape Hatteras Secondary School homecoming game, Buxton, 7pm. *20th Annual OBX Parade of Homes, Corolla to the Nags Head/Manteo causeway, Friday – Sunday. *1st Annual OBX Bluegrass Festival, One Festival Park, Manteo, Friday-Sunday. 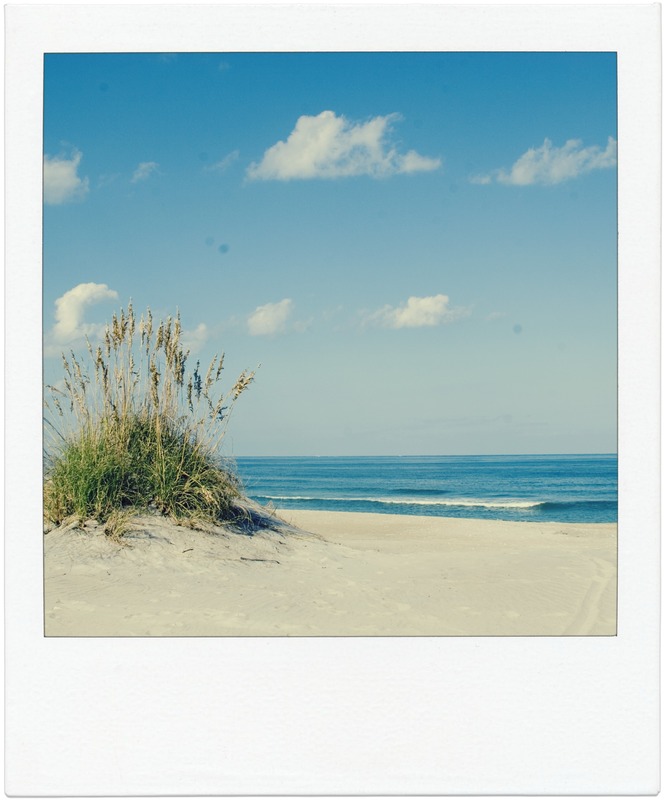 *Hatteras Island Cancer Foundation Fun Run (5k), Avon, 10am. •	Come “pinked out” in support of Breast Cancer Awareness Month! *Indian Town Gallery Arts & Crafts Show, Frisco, 10am – 5pm. •	Come hungry and ready to shop! Ribs and NC BBQ will be served and Lou Castro and his jazz band will perform between 2 and 4pm! *Climb the Cape Hatteras Lighthouse, Buxton, starting at 9am. •	The lighthouse closes for the 2012 season after climbs on Mon., Oct. 8. *6th Annual Duck Jazz Festival, Duck Town Green, 11am. *United States Coast Guard Search and Rescue Demonstration on the beach in front of the Chicamacomico Life-Saving Station, Rodanthe, 11am. On Monday, October 8th at 11am, you are invited to become a spectator at a dramatic, awe-inspiring U.S. Coast Guard Helicopter Search and Rescue Demonstration, right here on Hatteras Island. This impressive demonstration will be performed on the Chicamacomico beach in Rodanthe at milepost 39.5, by U.S. Coast Guard Motor Lifeboat Station Oregon Inlet and the U.S. Coast Guard Air Station Elizabeth City. Come watch as these remarkable men and women carry out this exciting demonstration using a 47 ft. motor lifeboat, accompanied by a MH-60 Jayhawk helicopter. Tickets are $5 and include a self-guided tour of the Chicamacomico Life-Saving Station Historic Site and Museum.